(18/P043) TRENTON – New Jersey, consistently a national leader in ocean water quality and monitoring, is looking forward to another great beach season, Department of Environmental Protection Acting Commissioner Catherine R. McCabe said today during the New Jersey Sea Grant Consortium’s 16th Annual State of the Shore event in Asbury Park. 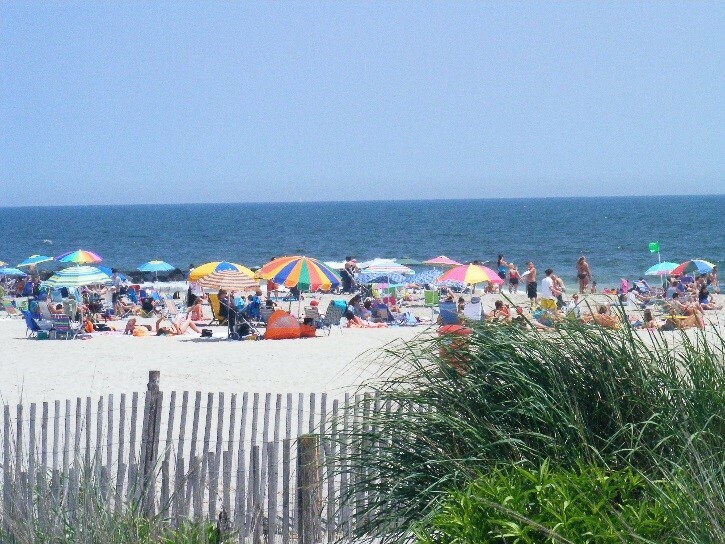 The event is held every year prior to Memorial Day weekend, the unofficial start of the shore season and provides a status report on water quality, beaches and other coastal issues. The shore is the backbone of the state’s $44 billion tourism economy. During the event, Acting Commissioner McCabe reiterated the state’s commitment to opposing efforts by the federal government to open areas off New Jersey and other East Coast states to offshore oil and natural gas development. Acting Commissioner McCabe also noted that beaches and dunes are in good shape despite an active winter storm season, in large part due to projects constructing them to U.S. Army Corps of Engineers design standards. She also committed the DEP to using the latest science to develop strong strategies to adapt coastal areas to sea-level rise resulting from climate change. To safeguard water quality and public health, the DEP coordinates the Cooperative Coastal Monitoring Program, a joint state and local partnership that tests water quality at nearly 190 ocean beaches and 31 bay and river beaches across the state throughout the season. Closures at New Jersey’s beaches are rare and when they do occur they are typically related to rainy weather and stormwater runoff. Moreover, 97 percent of the nearly 3,400 water samples collected during the 2017 season met the state’s recreational bathing standard. Coastal surveillance flights that operate six days per week from mid-May to mid-September have resumed as part of the overall water-quality protection effort. Weather permitting, trained DEP staff use these flights to look for excessive algae blooms or debris that might affect water quality. Under the Cooperative Coastal Monitoring Program, started in 1974, New Jersey requires that water samples not exceed 104 colonies of Enterococci bacteria per 100 milliliters. The local health agency issues a swimming advisory if an initial sample exceeds the state standard. Beaches are closed if the affected beach continues to exceed the standard during testing the following day. Closings remain in effect until subsequent sampling indicates levels again meet the standard. Advisories and closings are rare, generally occurring after heavy rainstorms that can carry bacteria in wastes from gulls, geese and other birds into affected waters. Bay and river beaches that do not have good natural circulation are more likely to experience closures. 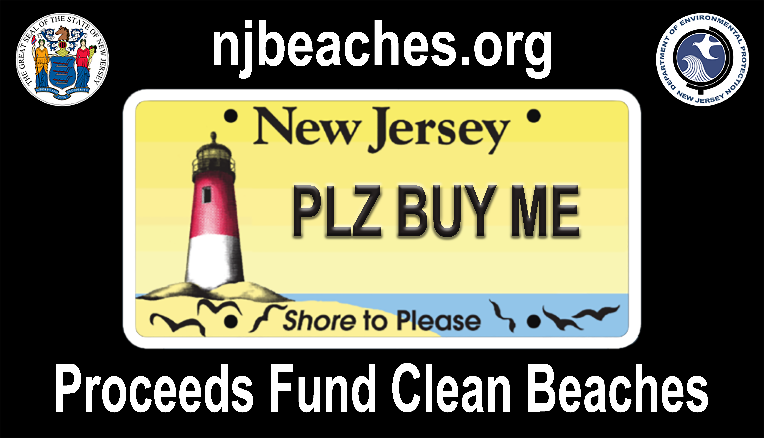 Funding for the state’s coastal monitoring program comes from the U.S. Environmental Protection Agency’s Beaches Environmental Assessment and Coastal Health Act grant program as well as a portion of the proceeds from the sale of the “Shore to Please” motor-vehicle license plates. As part of its effort to draw awareness to and raise funds for the program, the DEP has commissioned an airplane tow-banner (pictured above) that will be flown along the beaches this summer. Visitors can get up-to-date information on all water sampling and any incidents by visiting www.njbeaches.org or click on the banner above. The public can use this website to view and download water quality data and find out if there are any alerts at beaches.